Don is an avid cyclist and tennis player and when he went to the doctor to have some tests done, he found out he had some low bone mineral density counts and was concerned about his bones becoming brittle with the aging process. He just wanted to get stronger all around so he could stay active and feel good as he aged. I can tell you that his bones are strong with the training he has received from us and Don is stronger than most men that are 10 years younger than him. Marianne is also an avid cyclist and enjoys walking on her off days. She had battled some injuries in the past and was looking to get stronger and feel better to put those injuries behind her, improve her body composition and have more energy throughout the day. She has got great results from the training which is a testament to the quality of training she receives at Premier. Ready to take your health and fitness to the next level? 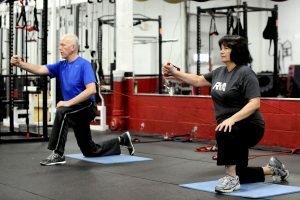 Sign up for Small Group personal training at Premier. Each 55 minute session gives you the feel of a 1 on 1 session at half the cost. The workout is personalized to your individual needs with the energy and camaraderie of 2-3 other people. This is a workout you have to experience to see the value it will bring to your life. 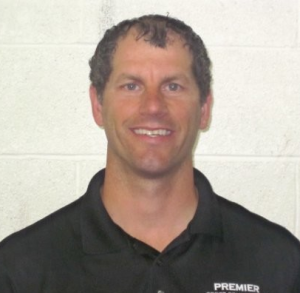 To schedule your complimentary session, call (330) 487-0810 or email us at info@premierfitnessoh.com. Spaces are limited in this program.